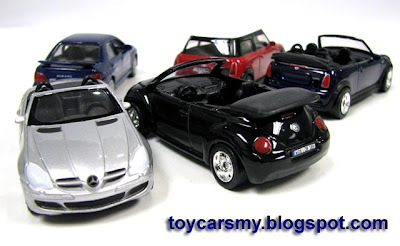 Perhaps, it is not too late to write about Welly Diecast. 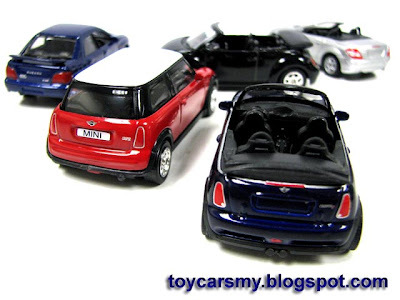 Welly Die Casting Private Limited, a Hong Kong based toys based company produces varies type or toy cars including scale 1:24, 1:18 and R/C. 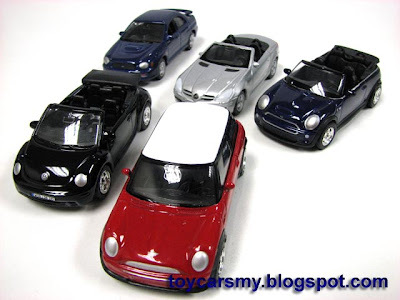 Lately, Jusco brought in this range of 1:60 scaled diecast models selling at RM3.90 each. 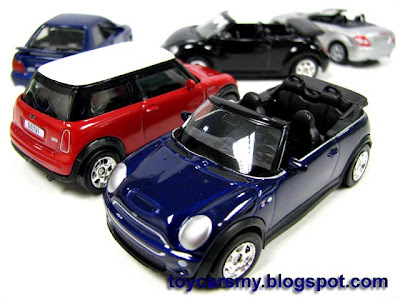 It slightly bigger than Hot Wheels and quality comparable to Tomica but only one third of Tomica price. For me, I feel Welly is adorable with its built quality over price, except the wheels need some improvement. If Welly has done that, they should stand a better position to their market competitors. With the same price and finishing, would you buy Welly if their wheels look similar Hot Wheels Super Treasure Hunt? Would you tempted? Remarks: Below are the few models I found good to have, more models are available for selction. 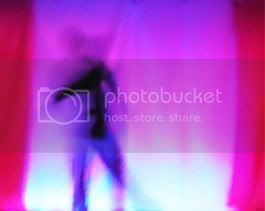 Please see yourself. Unfortunately their wheels are the only slight downside to an otherwise good casting. I dont know how the cars feel like to be handled overall, does it feel like its been built solidly? Wheels aside, the paint job and details are quite good. 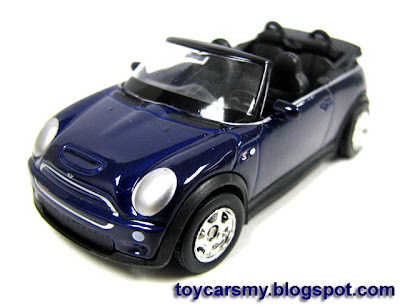 However, I feel their colour choices and model selections will restrict them to only a certain group of collectors. Actually, Welly has just appeared in Vietnam in 1:18 scale. Their quality is same with 1:18 Maisto: acceptable.